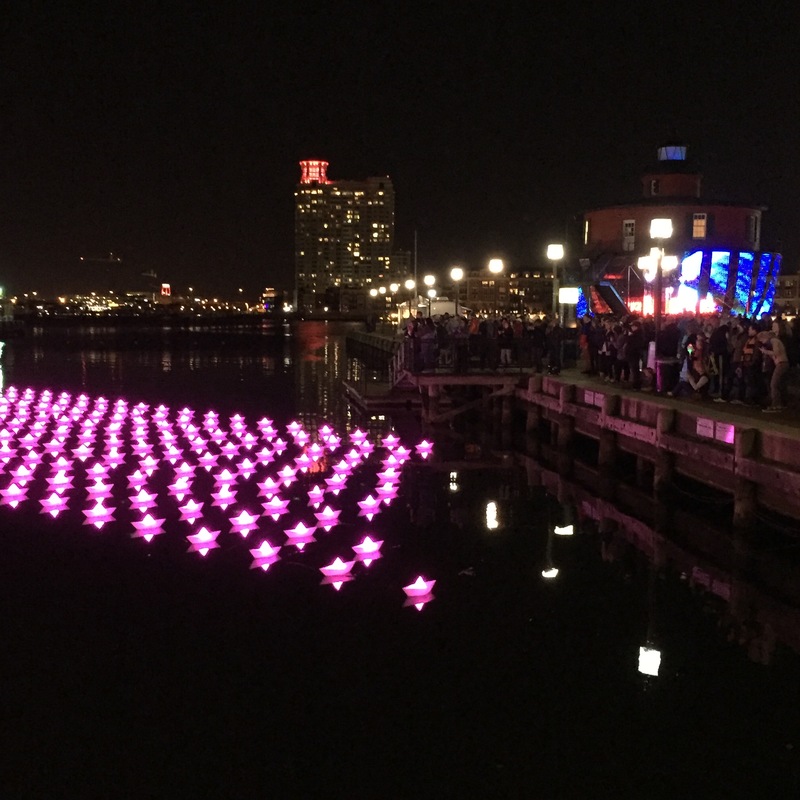 It’s Thursday so we’re thinking out loud all about Light City Baltimore! Not from Baltimore or been living under a rock all week? 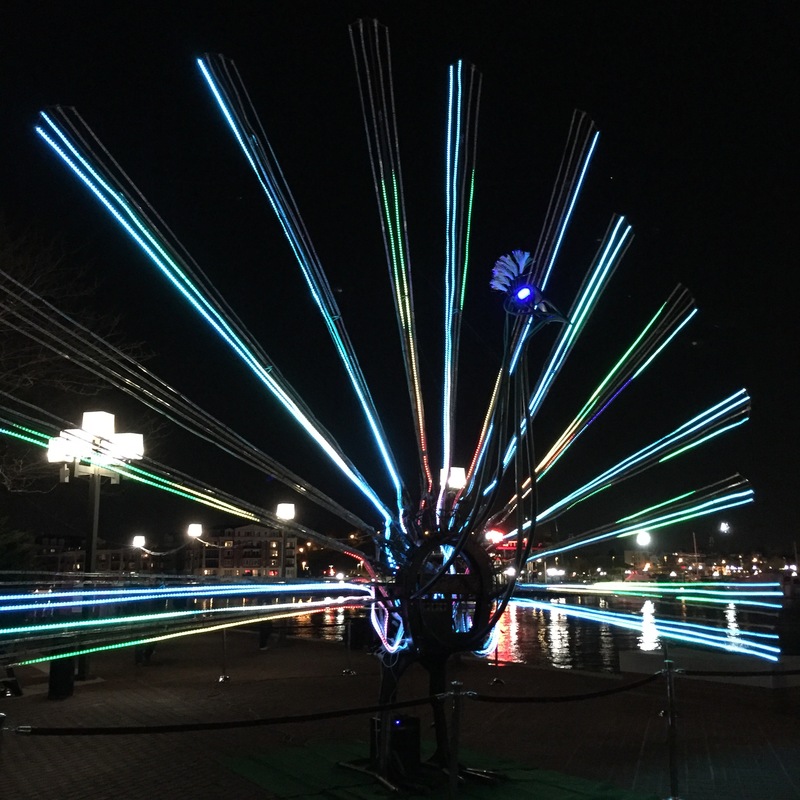 Well to catch you up, Light City is a festival that has taken over Baltimore’s Inner Harbor (with ancillary exhibits in other neighborhoods) with light, art installations, musicians and performers. 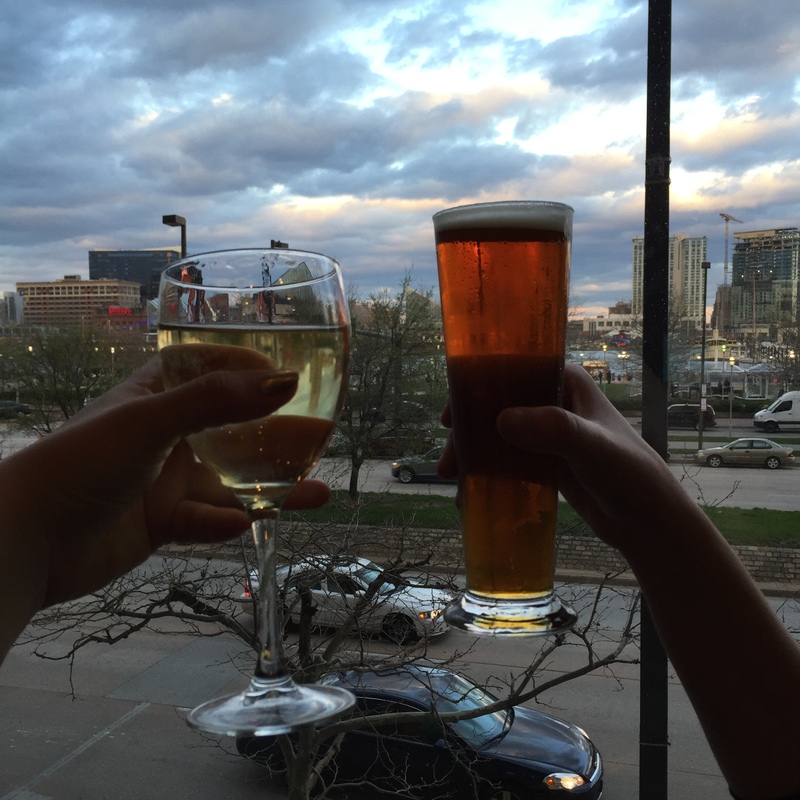 According to the Light City website, the parade was scheduled to kick off around 7pm so we settled in at the bar a little before 7, just in time to cash in on the end of happy hour and get discounted drinks and a couple of appetizers. The only problem? It was still super light out! The parade didn’t actually get underway until closer to 8pm which made a lot more sense for an event that centered around glowing lanterns against a dark sky. 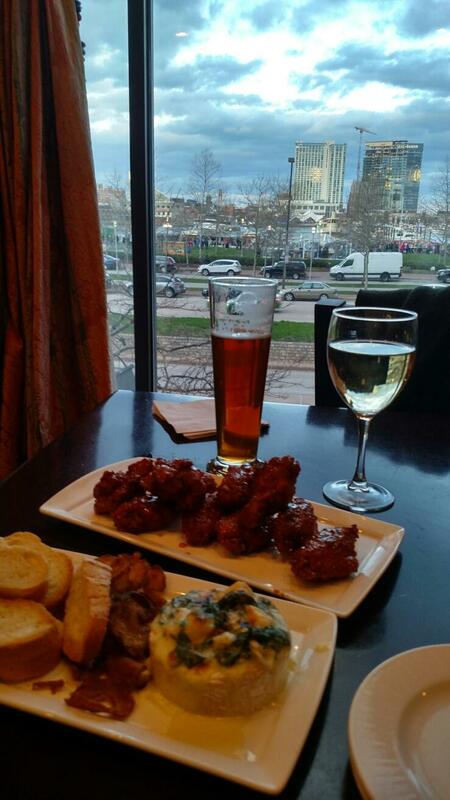 That was fine by us because it gave us plenty of time to catch up, have another drink and enjoy our honey wings and spinach and brie spread. Tuesday night Adam and I were celebrating our first wedding anniversary and walked to Harbor East for a special dinner. Our dinner ended up being a disaster (more to come on that in a separate port), but we enjoyed the late night walk back to our apartment. It was awesome to see the Harbor absolutely packed at 10pm on a week night and we loved seeing the various light displays and performances. I’m eager to see whether or not people view Light City as a success and what the economic impact ends up being. It certainly appeared that they were getting big crowds and that people were having very positive experiences. We plan to check out more of the Light City offerings Friday night – including drinks and food from some of Baltimore’s best restaurants! Parts & Labor, Ekiben and Nickel Taphouse all have stands. 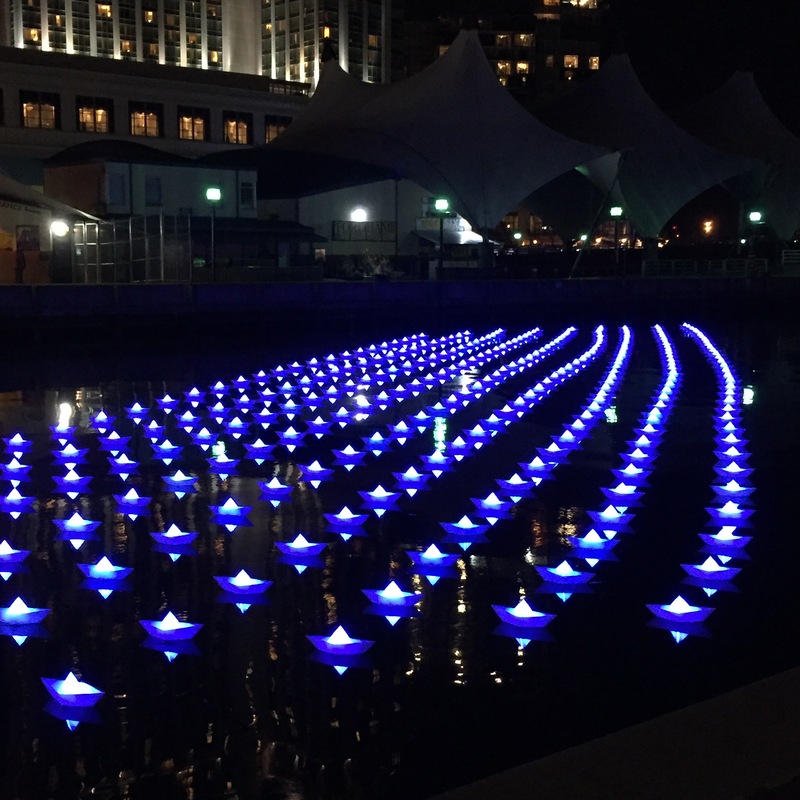 Have you been to Light City yet? What was your favorite part? Ekiben! Can’t wait to try ’em out (and talk grocery shopping)! The Lily pads! I enjoyed it!